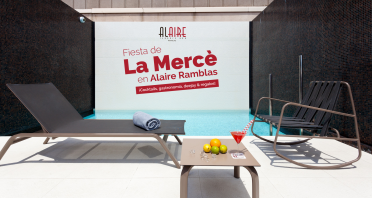 The ALAIRE RAMBLAS terrace, located on the top floor of the Hotel, is the ideal place to enjoy the summer, with contemporary decoration, up-to-date and elegant, inviting you to relax and enjoy a chat with friends. 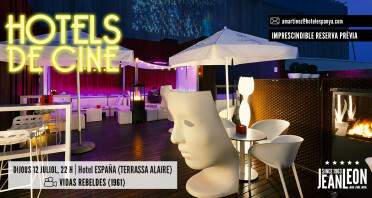 What is more, the ALAIRE RAMBLAS terrace stands out for its range of gastronomical options sandwiches, salads and seasonal tapas, as well as its select range of cocktails, accompanied by its attractive live music options during the summer nights. The terrace also has a giant television screen so you can enjoy important sports events. The terrace will remain closed during the winter season and/or for adverse weather conditions. Contemporary decoration, up-to-date and elegant, inviting you to relax and have a chat with friends. 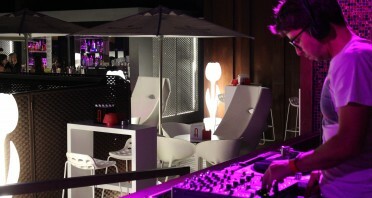 DJ sessions, bossanova and flamenco during those long summer nights.